Join two meteoric stars of Bristol’s musical universe for a ground breaking new show combining live video mixing, immersive theatre and hip hoperatics. 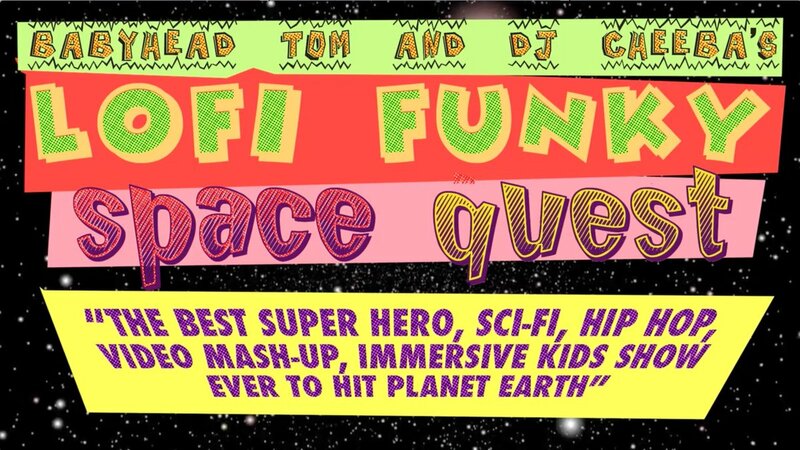 CALLING ALL INTERGALACTIC LITTLE HUMANS. Tom and Cheeba return to earth in search of a squadron of space cadets to help them overcome the mysterious Flatscreenzombierobot virus that has bewitched the Grown ups of Planet Earth. The spell can only be lifted by a show full of the funky power of hip hop, childhood imagination and cheap special FX. If you are full of super human energy and imagination..we need you! Planet Earth needs you! You’re our only hope! Suitable for children of all ages, semi-seated show. Adults must be accompanied by a child. Cheeba has produced a variety of celebrated projects including video mixes, movie re-scores, adverts, documentaries and commissioned projects for eveyone from Led Zeppelin to Aardman as well as the eclectic mixtapes that he’s best know for and have topped have iTunes download charts. In 2016 Cheeba is touring several different audio visual projects ranging from the cinema style ‘After School Special’ and ‘Plan 9 From Outer Space’ to the dancefloor club and festival shows like ‘Return To The Boom Bap’ and ‘Double Vision’. Little tom is a mega-uncle, storyteller and front man for Bristol band Babyhead. Over the years he has gained a reputation for being a highly intuitive and engaging performer, much loved by grown ups and kids alike. 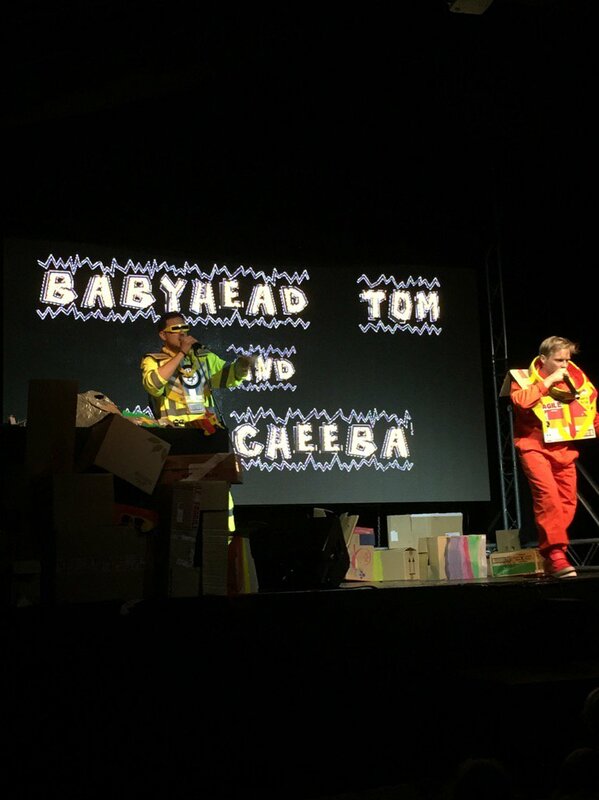 Babyhead has taken him all over world from New York to India, Thailand to Malmesbury, yet Tom’s favourite shows are those he does with young people for HEADSUPHIGH!. HEADSUPHIGH! is the Babyhead’s musical education project which delivers music workshops and infections interactive live shows in educational settings. little tom uses his 20 years experience of the international stage to engage the minds of the young though music in a bombastic style. Tom is currently working on 3 theatrical projects and studying the art of fooling. Well day 1 of #HooHaFest done. Day 2: @AndyDayTV @BSinfonietta @djcheeba @BakehouseEvents @MartinKiszko @LilliputConcert @Pukkaherbs & more!